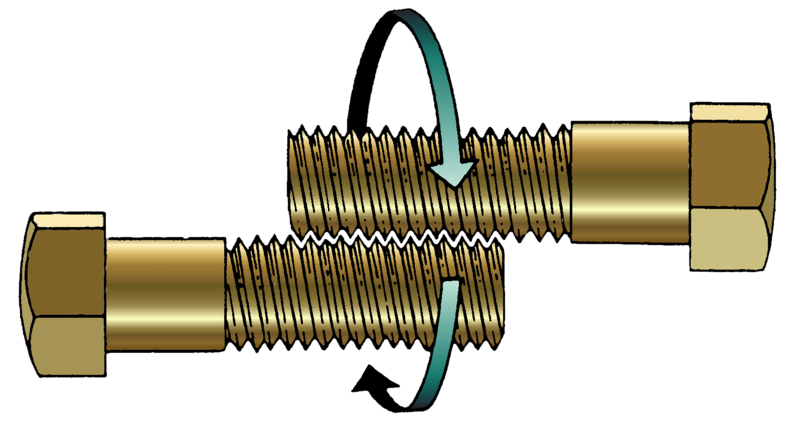 Answer to Riddle #84: Twiddled Bolts. 84. 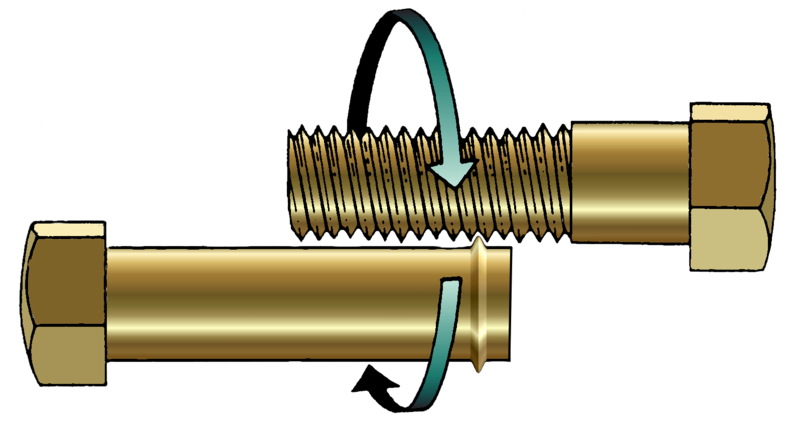 Two identical bolts are placed together so that their helical grooves intermesh. If you move the bolts around each other as you would twiddle your thumbs, holding each bolt firmly by the head so that it does not rotate and twiddling them in the direction shown, ill the heads a) move inward, b) move outward, or c) stay the same distance a from each other? Before reading the answer can I interest you in a clue? 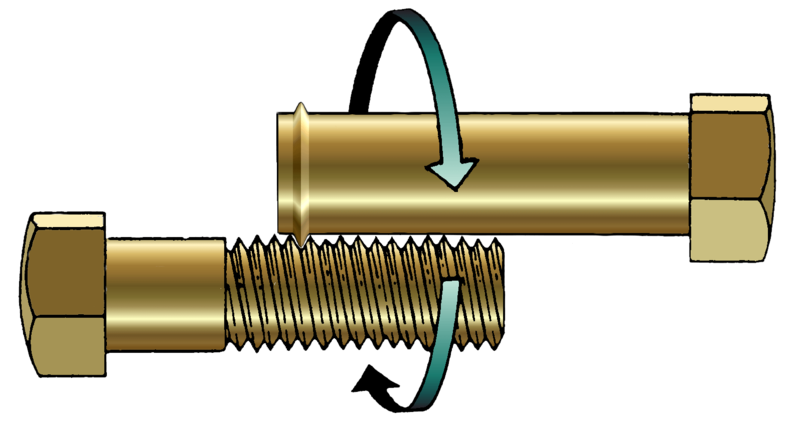 It shows rather than two interlocking bolts, one bolt and a sort of specially designed thing with a singular thread in a circle around it. It's reasonably easy to tell by intuition that given the orbital direction that the stud at the top (currently,) will move to the right. The stud will also move to the right. So if both are moving to the right, at the same speed, then there is no relative motion, (save the rotation,) at all. To see the video you'll have to click here. The video will appear below, or to view it in YouTube you can click click here. Apologies for this nonsense, it's because you're on a mobile device and Google thinks this page is not mobile friendly if I embed YouTube videos using their own code. I know, I know, I twiddled the bolts in the opposite direction. Hopefully you can see that if the don't move relative to ach other when twiddled one way they wont when twiddled the other. © Nigel Coldwell 2004 - – The questions on this site may be reproduced without further permission, I do not claim copyright over them. The answers are mine and may not be reproduced without my expressed prior consent. Please inquire using the link at the top of the page. Secure version of this page.